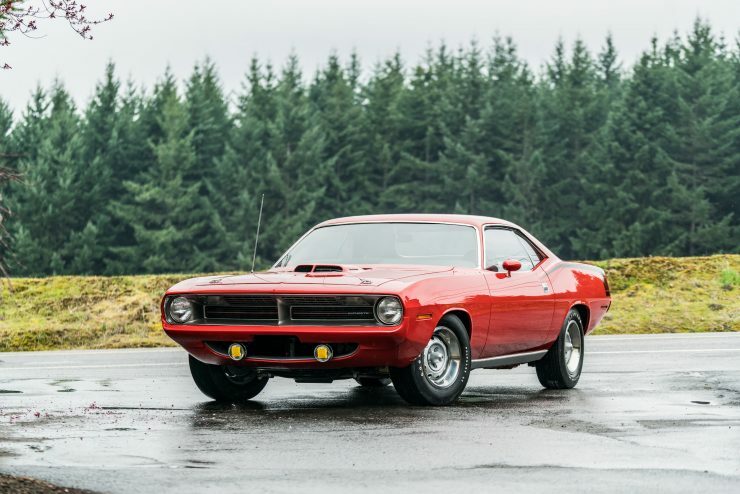 The Plymouth Hemi Cuda is now recognised as one of the most collectible of the original generation of muscle cars, it was first offered in 1970, but due to its significant cost increase over the other Cudas it sold in relatively limited numbers. 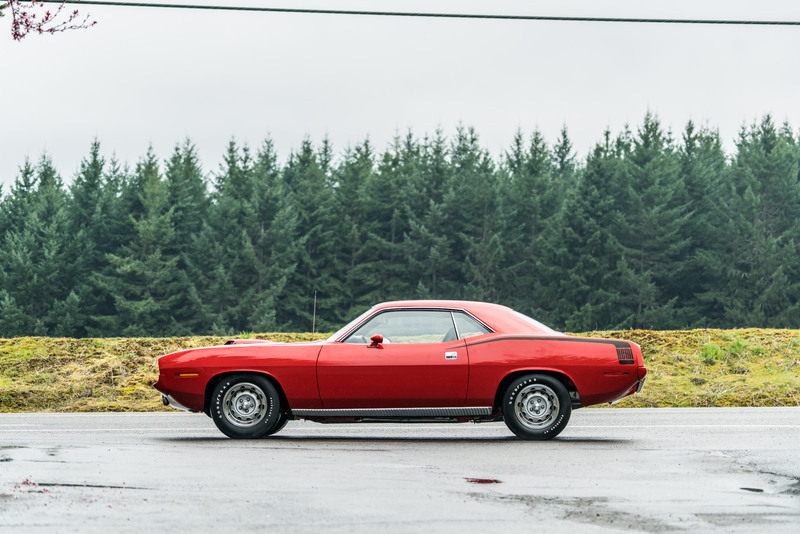 Plymouth charged a $871 premium for the Hemi 426 V8 option – almost 30% of the standard car’s value, and as a result just 652 hardtops and 14 convertibles were made in 1970. Buyers realised they could order the almost-as-quick 440 V8 for just a $250 premium, and they could still keep up with the Hemi till 60 mph or so. 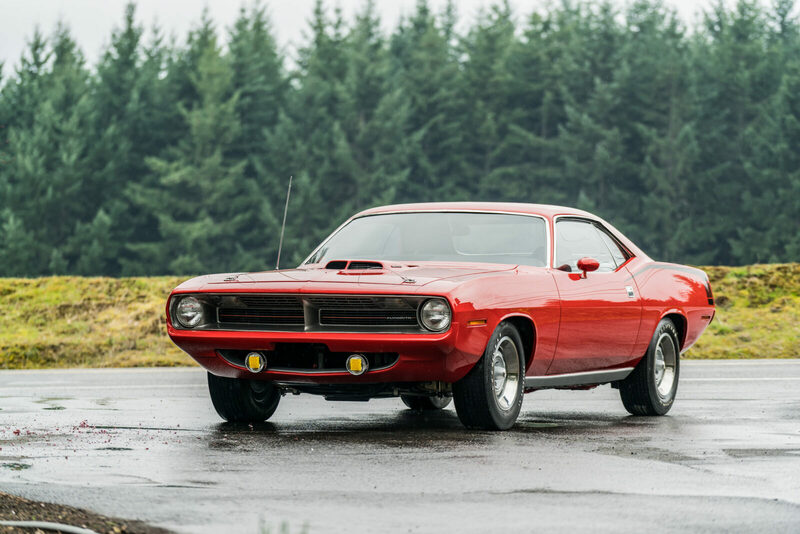 The Plymouth Barracuda was first introduced two weeks before the original Ford Mustang, the marketing team at Plymouth had originally wanted to call it the “Panda”, but thankfully senior designer John Samsen suggested the name “Barracuda”, and the name stuck. 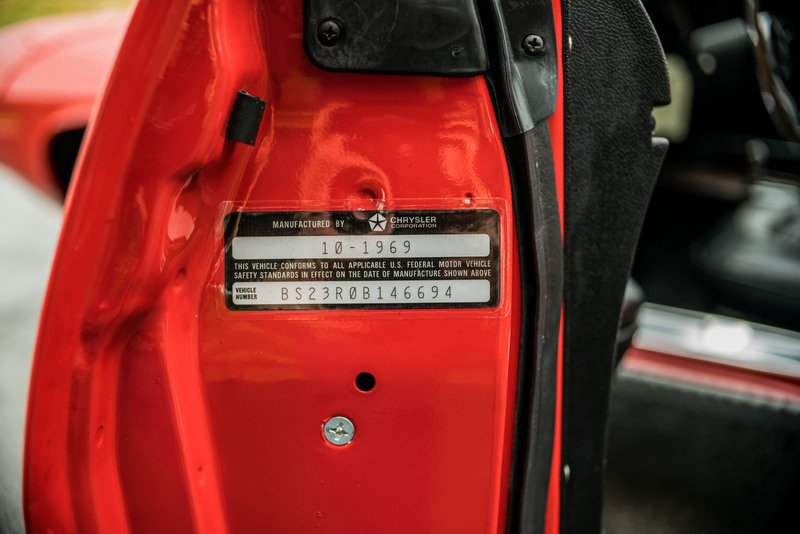 The first generation Barracuda shared a significant number of parts and panels with the Plymouth Valiant as a cost saving measure. 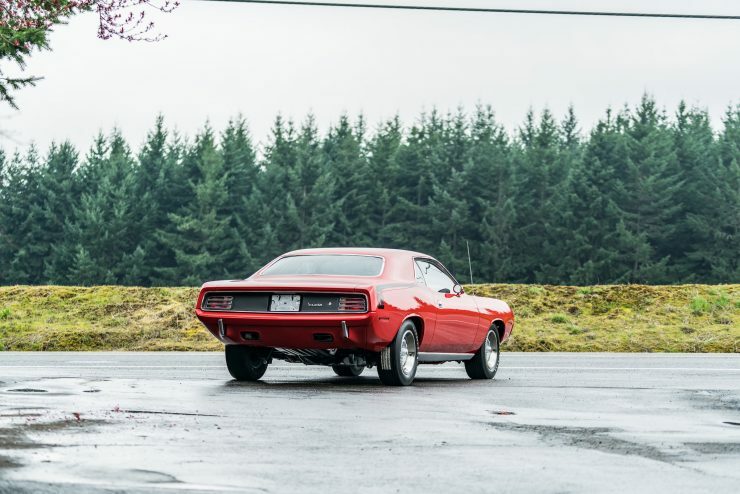 Although it’s impossible to know how much of a part it played, the fact that the sporty Barracuda shared a very similar look (particularly the front-end) to the more sedate 4-door Valiant meant that it had much lower sales figures than the Mustang. 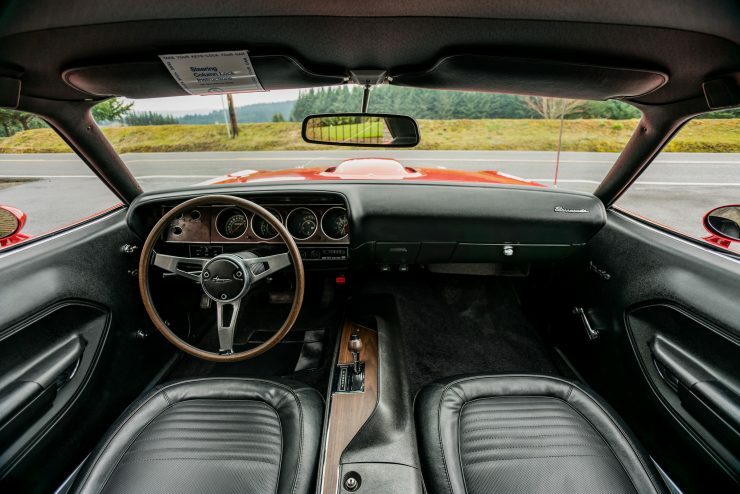 When the second generation Barracuda rolled out in 1967 it had all unique body panels and its own front-end, though it did still share the same basic A-body platform. 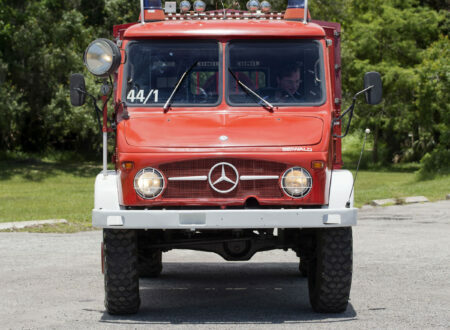 It now featured characteristic Coke-bottle side contours and a more streamlined overall design – a feature that would be further refined on the next generation introduced in 1970. 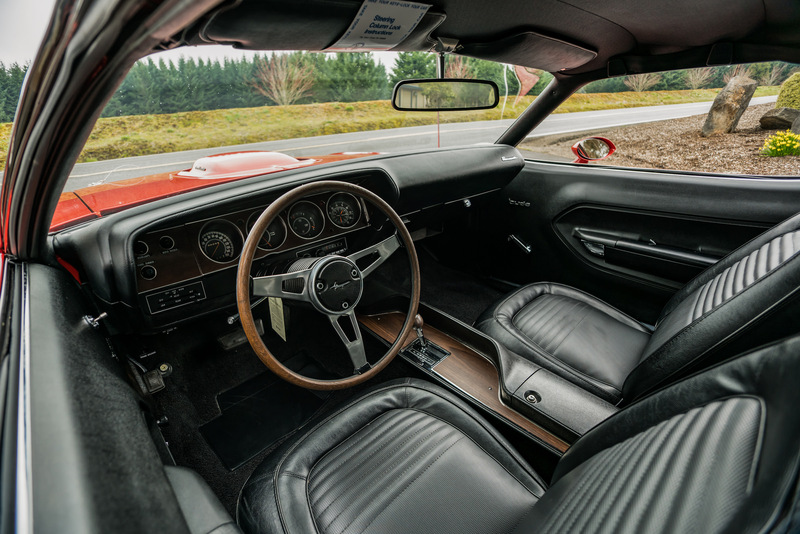 The other major feature released on the second generation car was the ‘Cuda trim package – it was based on the earlier Formula S option, with either the 340, 383, or the new 440 Super Commando V8. The beginning of the ’70s would see the introduction of the now legendary Plymouth Hemi Cuda. 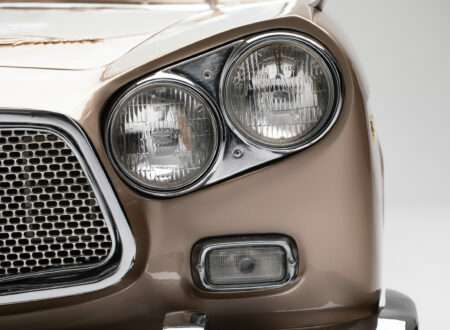 It had an all-new body sitting on the Chrysler B-platform called the E-body. 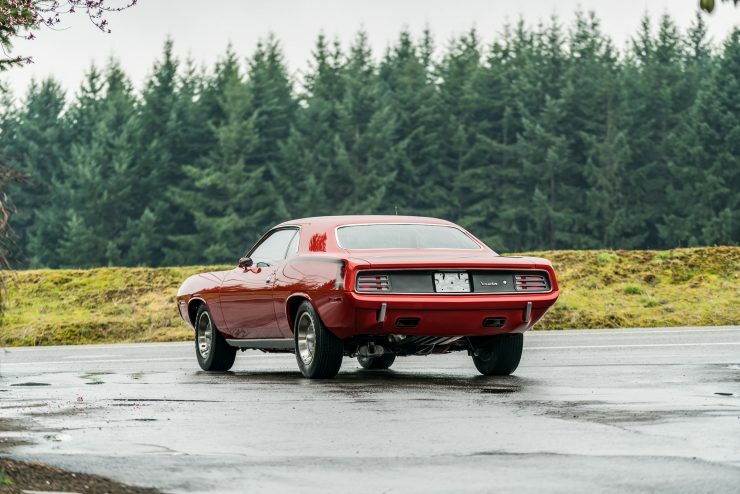 The Dodge Challenger shared the same basic platform, but the Dodge was 2 inches longer. 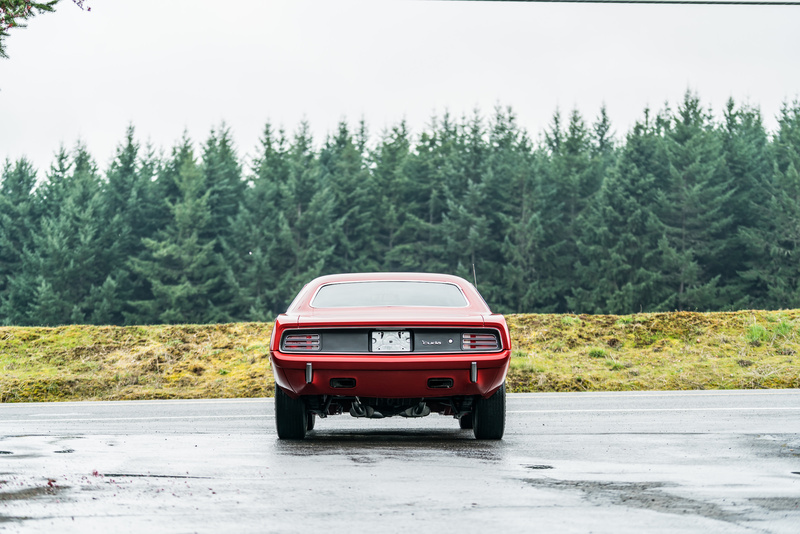 Plymouth offered a wide array of engines and options in the new Barracuda, from a 198 cubic inch slant-6 right the way through to the 440 cubic inch (7.2 Litre) V8. 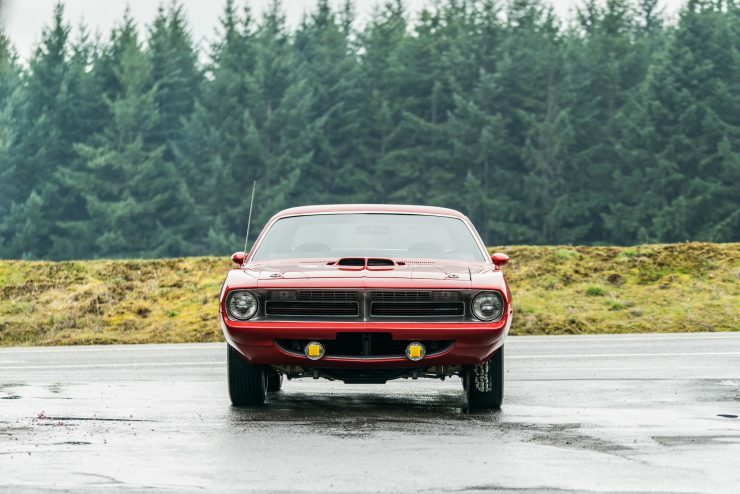 Despite the slight capacity difference, the 426 cubic inch Hemi V8 was a significant performance upgrade over the 440 V8 with 425 bhp vs 375 bhp. 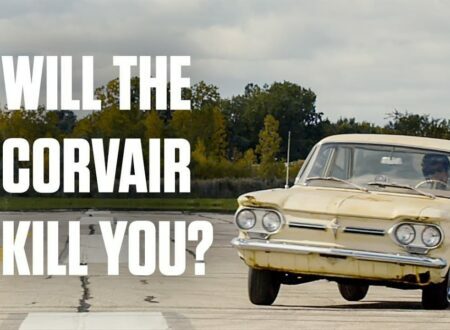 Chrysler had first experimented with hemispherical combustion chamber design during WWII for the inverted V16 that was intended for the P-47 Thunderbolt – but it didn’t fly until 1945 when the war was drawing to an end. The development work didn’t go to waste however, and the efficient hemi combustion chambers became synonymous with many of the company’s high-end V8s over the subsequent decades. 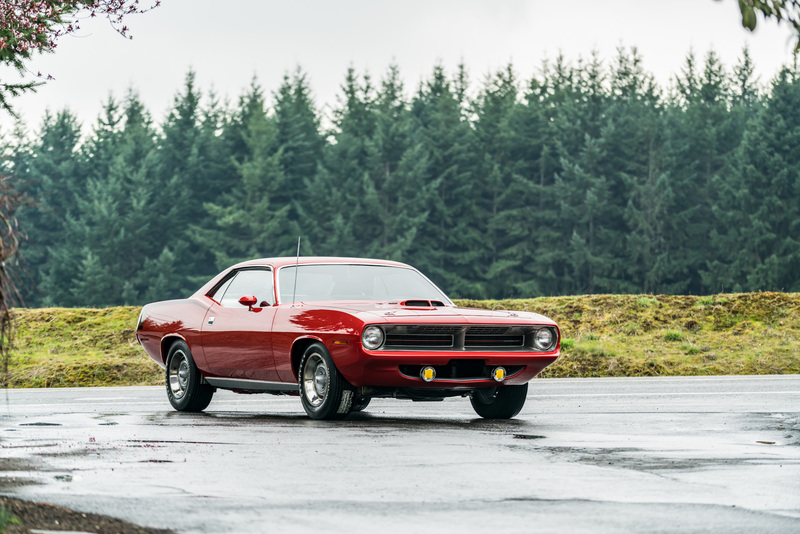 1970 would be the first year for the Hemi Cuda – with its prominent “shaker scoop” on the hood, so named because the scoop is attached to the top of the engine and protrudes through a hole in the hood – meaning it can be seen shaking when the engine is running. Plymouth only sold the Hemi Cuda in 1970 and ’71 due to increasingly stringent emissions standards, the model disappeared from the line-up in 1972. 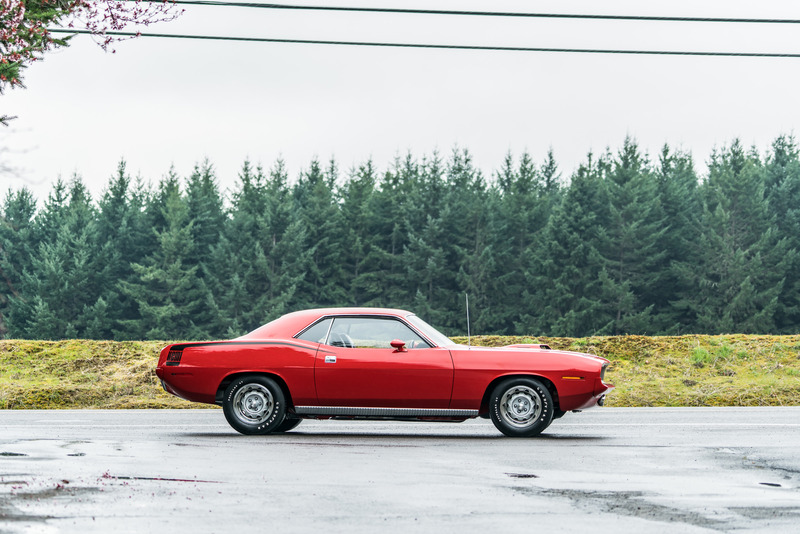 Despite its short production life the model is a major highlight from the early years of the American muscle car – and surviving examples and been skyrocketing in value. The 1970 Hemi Cuda shown here is fitted with an original “Slap Stik” shifter, an automatic transmission that allows the driver to rapidly “slap” it from 1st to 2nd, and from 2nd to 3rd. 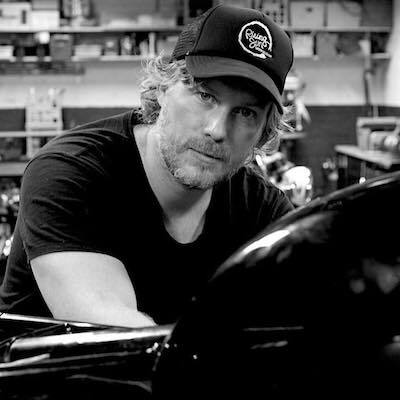 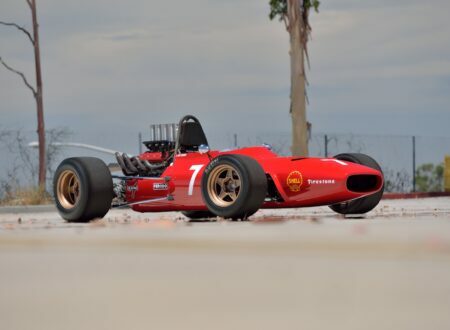 This was developed specifically for drag racing, allowing the driver to push the car to the required rpm before moving up a gear with a quick hand gesture, without having to press the button on the shifter first. In order to slow the car down it’s fitted with power brakes, and there’s a 4.10 Dana 60 Sure Grip rear end, sending power to the period-correct Rallye wheels and Goodyear Polyglas tires. 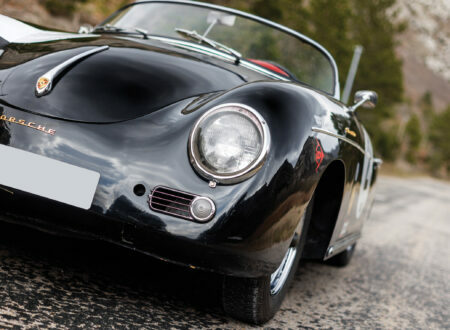 The car currently shows just 9 miles on a recent concours restoration, and it won both the Best in Class Portland Roadster Show 2018, and the Best Restored engine Portland Roadster Show 2018. 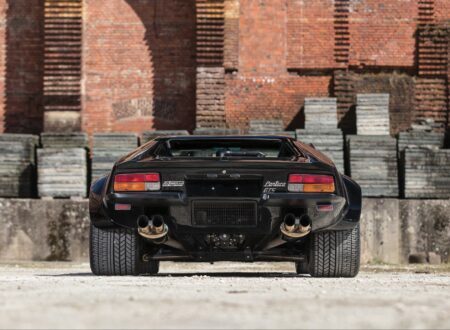 If you’d like to read more about the car or register to bid, you can click here to visit the listing on Mecum.